This bread basket is a perfect gift for any ones home. To be gifted at any occassion to any relation be it brother, sister, mother, father, friend or any one. This gift will be used early in the morning while having your sip of tea and toast. This basket is handcrafted by our expert artisans to the perfection. 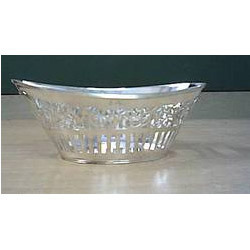 Being a sole concern firm, we are betrothed in offering our clients a broad array of Sterling Silver Candle Holders which is used in different type of gifting purpose. 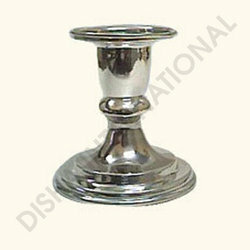 The offered holder is manufactured using innovative techniques and top quality silver by our proficient experts. Furthermore, our offered holder is also tested by our controllers as per set standards to ensure that holder is free from any manufacture defect. We are offering customized products. With our decade of experience, we are catering to the varied requirements of our clients by introducing a quality array of Sterling Silver Photo Frames that are best suitable for different occasions like wedding gift ,corporate gift etc. . 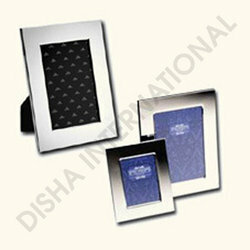 Offered frames are manufactured by using the best quality silver and progressive technology. These frames are highly appreciated in the market for their durable finish and such other qualities. Our provided frames are tested under the vigilance of quality experts. We are offering customized products. 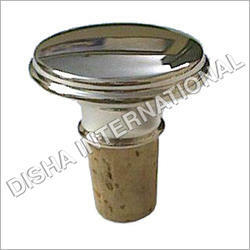 Our Sterling Silver Bottle Cork are fabricated with latest technology, advanced machinery, and diligent workforce. We have special unit for quality inspection that ensures certain quality guidelines that meets international quality standards in our entire range of products. We are offering customized products. This Silver Bottle Cork is crafted to the highest standard using traditional silversmith techniques from Sterling Silver. Featuring a circular design with a full set of hallmarks this bottle cork presents a simple yet classic design that will look great on top of your bottles or in your drinks cabinet. This Silver Bottle Cork will keep your wine in perfect condition after opening and serves as a great gift for an anniversary, wedding gift or a special occasion. 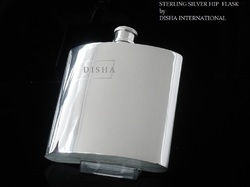 We manufacture hip flasks in different size as per buyers requirements. We make then in sterling silver and silver plated as well. Outer finish of the flask is plain or hammered. Holding capacity is 150 ml. 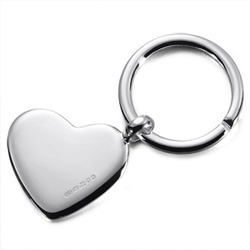 We are a company which is engaged in the manufacture of a superior range of Sterling Silver Key rings which have been made using the best technology available in the market and these products have been made using a high quality of raw materials. These products are available in a wide range of attractive designs which are ideal for gifting to the friends and family. These products have been priced at very reasonable rates in the market. We are majorly looking for enquiries from U.K, Europe, USA and other international markets. We are offering customized products.